We are Virginia Tech. Gathered from all across America. And we’re going to stick together. You know why? Because we are the Hokies. And Hokies fly together. And just when you think they’re about to break apart, Hokies fly together. And when the wind blows hard and the sky is black, Hokies fly together. And when the roosters are crowing and the cows are spinning circles in the pasture, Hokies fly together. And when everyone says it can’t be done… Hokies fly together. It’s Knuckle Puck Time. GO HOKIES!!! 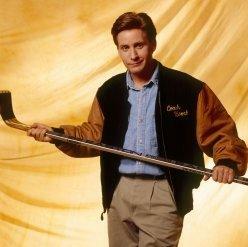 You are currently browsing the archives for the Gordon Bombay category.